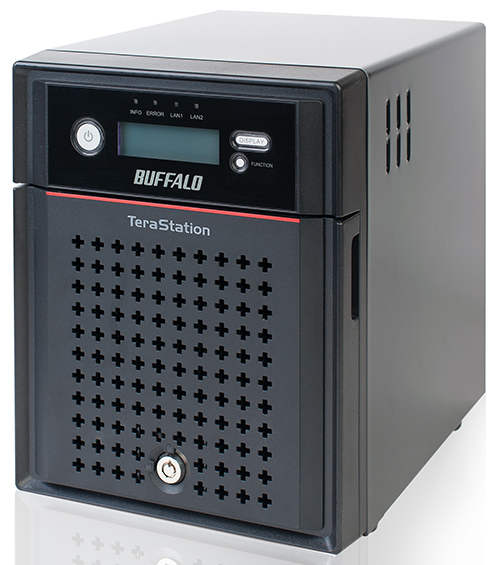 Our test lab already hosted two models of Buffalo NASes for review: TeraStation 5600 and LinkStation 421. 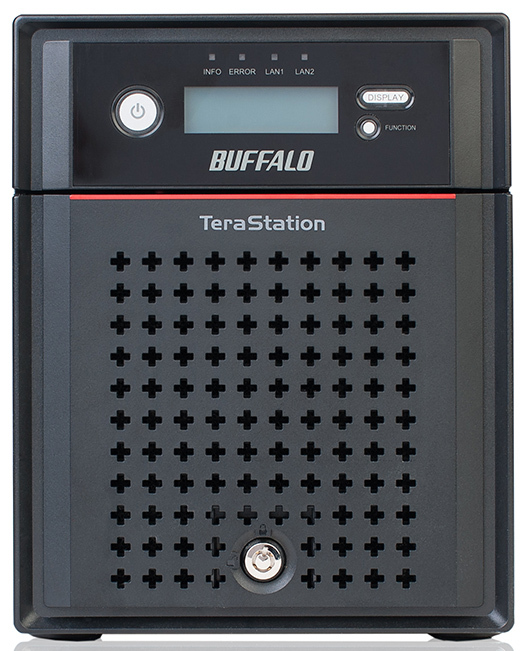 Today we welcome our readers to get familiar with the review and testing of their middle brother—Buffalo TeraStation 4400D NAS—which allows for the installation of HDDs of most vendors. Okay, let's get started. 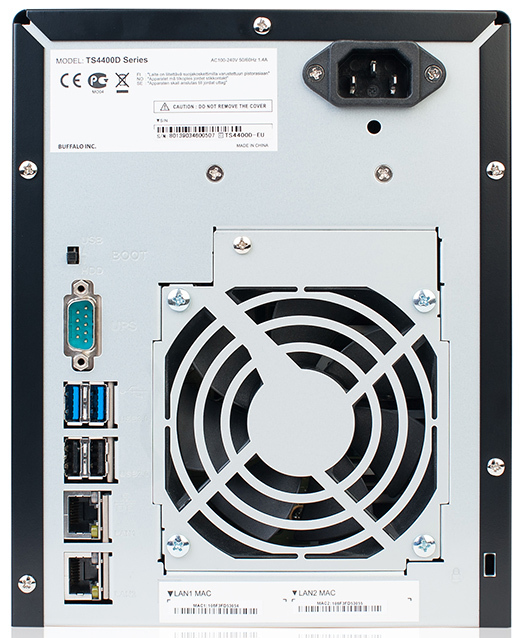 Traditionally for this class of devices, Buffalo TeraStation TS4400D comes in a black metal case intended for desktop mounting with dimensions of 170x215x231 mm. 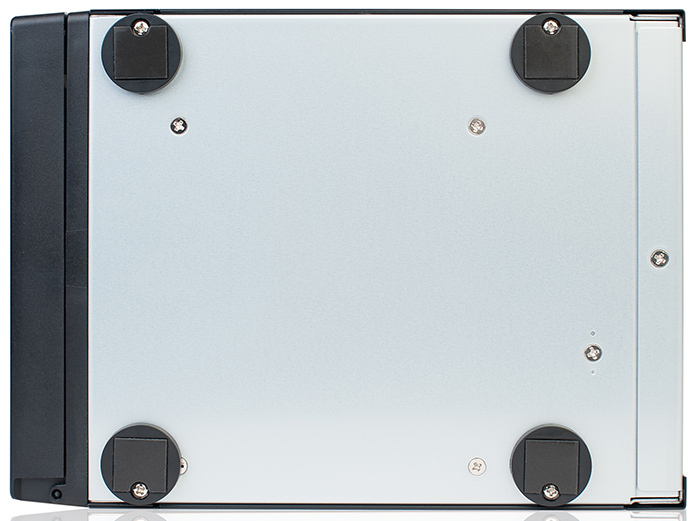 The larger part of the device front panel is a plastic door with the air filter which has four disc bays behind it. The door can be locked and there is a lock incorporated into it. Apart from the disc boxes there is also some kind of a port behind the door. It looks like it was made to be used only by the vendor's engineers and not for connection of user devices. It's worth noticing that TS4400D has something absolutely different from models by this vendor we tested earlier; now the users are allowed using HDDs of most vendors. Just over the door on the front panel there is a control board with an LCD display and control button, ON/OFF button, LEDs that indicate the NAS and network port status, and USB 3.0 port. Also, there is FUNCTION button over here that is used to copy data, switch off USB carriers, recreate RAID arrays, and manage fault-tolerant settings. 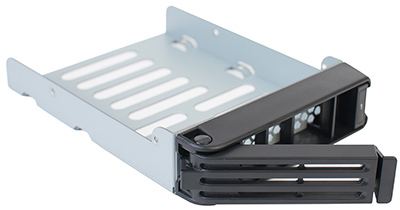 The bottom of TeraStation 4400D has four rubber legs used for desktop mounting of the device. On the rear side of the NAS there is a 92 mm fan. Apart from it there are also a power socket and stickers with brief information about the device located here. Also, the rear side of the device case has a switch for boot device selection, two Gigabit Ethernet interfaces, two USB 3.0 ports, and two USB 2.0 ports. 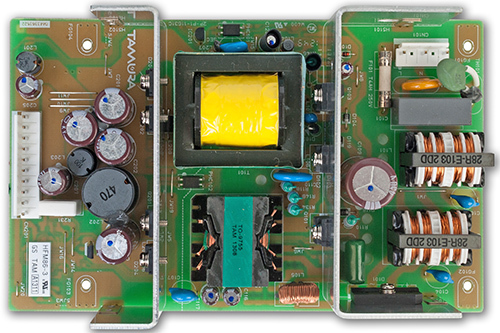 Now let's have a look at the insides of Buffalo TeraStation 4400D. 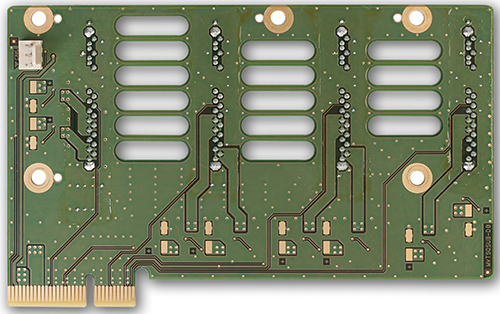 Hardware platform of Buffalo TeraStation 4400D consists of four cards: a motherboard, PSU card, and two other cards that perform support functions. 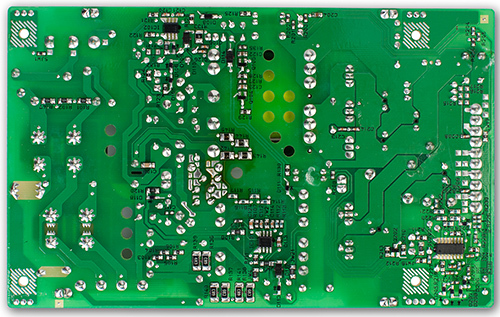 These functions include data I/O to the LCD screen located on the device front panel or maintaining and securing connection of the hard drives to the motherboard. On the motherboard there is a slot with the pre-installed RAM stick. The device RAM is powered by eight Samsung K4b2G0846D chips with the capacity of 256 Mbytes each. This way just one stick provides TeraStation 5600 with 2 Gbytes of RAM. A great part of the motherboard front is covered by a large black radiator that provides Intel Atom D2550 CPU and southbridge cooling. iTE IT8721F microchip is charged with slow I/O functions. 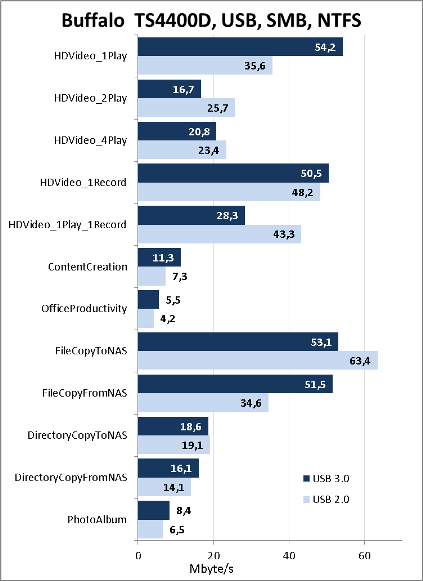 Support of USB 3.0 ports is maintained by Renesas D720201 chip. 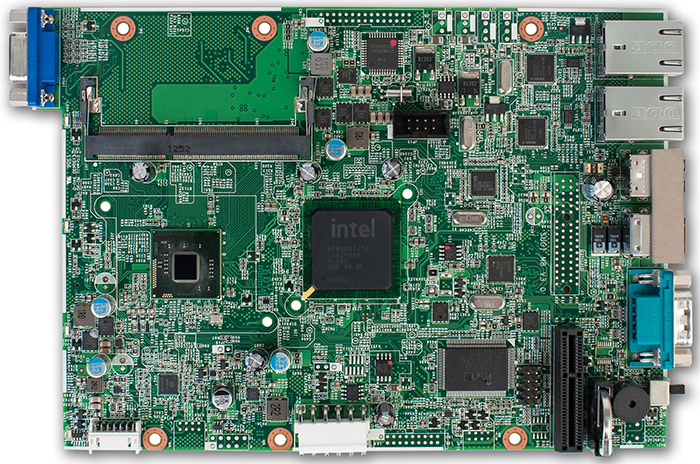 Two Intel WG82574L controllers are responsible for operation of two Gigabit Ethernet interfaces. 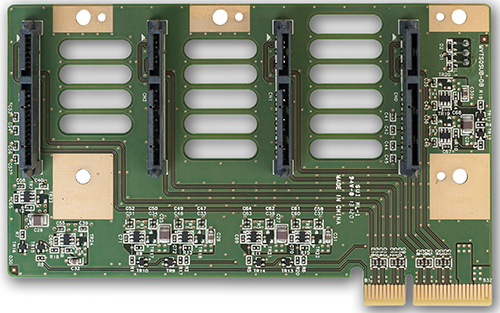 We couldn't manage to find a single-purpose RAID controller on the card, and it means that all RAID support functions are performed by the device southbridge. We also discovered Silego SLG8LV631V clock device located on it. 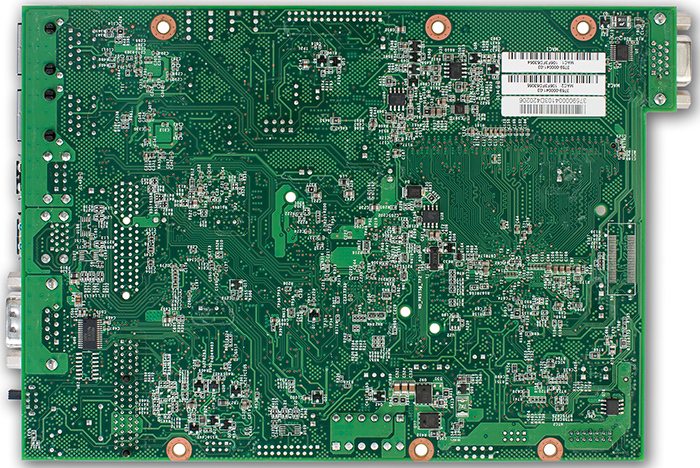 That is where we bring the review of the hardware platform of Buffalo TeraStation 4400D to a conclusion and pass on to examining capabilities of its software component. In order to start working one needs to have firmware installed in Buffalo TeraStation 4400D NAS. The installation procedure has been explained in great detail in the product manual and we think it's only necessary to tell that the firmware is installed using a flash card that's included in the box. In other words, at first the firmware is downloaded from the USB data carrier to be copied to the preinstalled disks which need to be empty, i.e. without any created partitions. Once TS4400D has been rebooted, one needs to detect it within the network using NASNavigator2 utility, get connected to it, create the administrator password, format the installed disks (Disks-Disks), and create a RAID (Disks-RAID). And though the firmware update is not necessary to be carried out to get started using the device under review, we recommend users to download and install the latest firmware version. 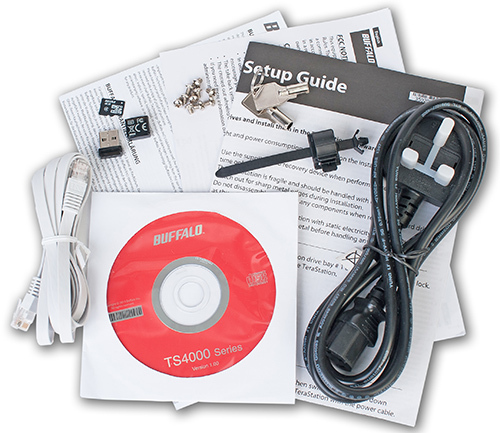 Firmware update is performed either using TSUpdater utility or Management-Update menu item (in case if the connection to the Internet is available). 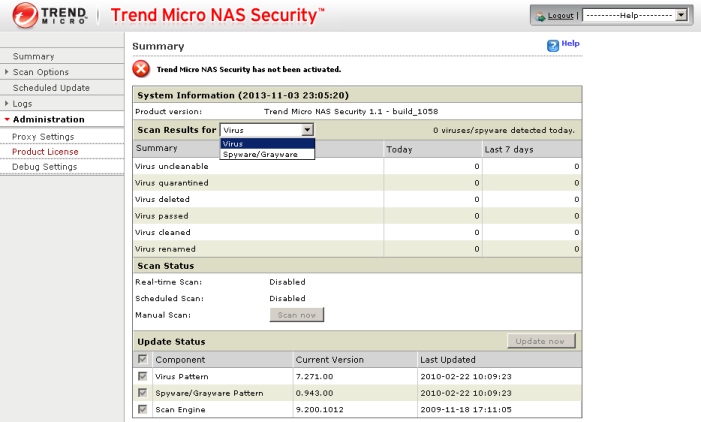 As soon as all procedures specified above have been executed, the NAS will be ready to use. The whole update procedure takes about 30 minutes (not considering the RAID creation time). 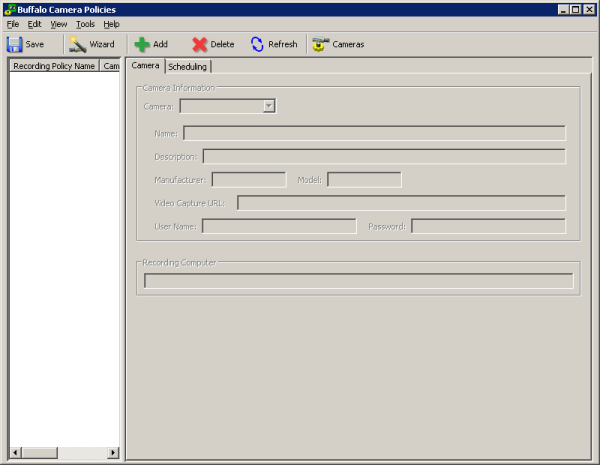 If it's necessary to get connected to the NAS using iSCSI protocol, the administrator should use Buffalo iSCSI tool utility. Apart from three utilities mentioned above there is also a wide selection of other utilities meant to be used for management of the NAS which acts as a surveillance system. Since the web-interface capabilities of TS4400D are equal to those of TS5600, we will not review them but pass straight on to testing the NAS. 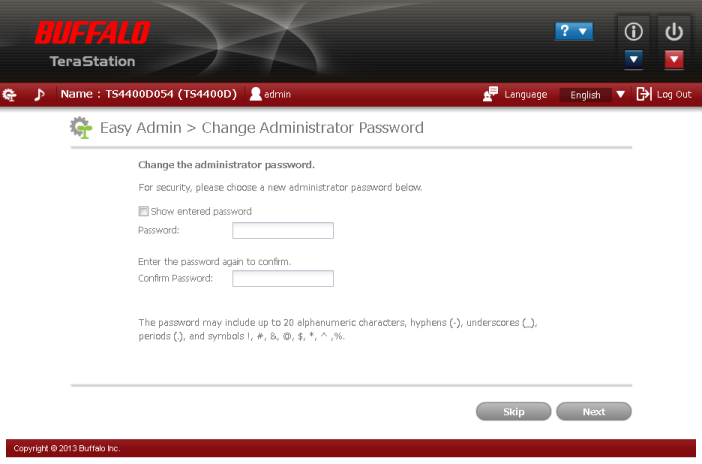 Nevertheless, there is probably just one thing we would like to channel attention of our readers to: the settings page of TrendMicro antivirus module is in English in TS4400D, which allows one adjusting all necessary settings. 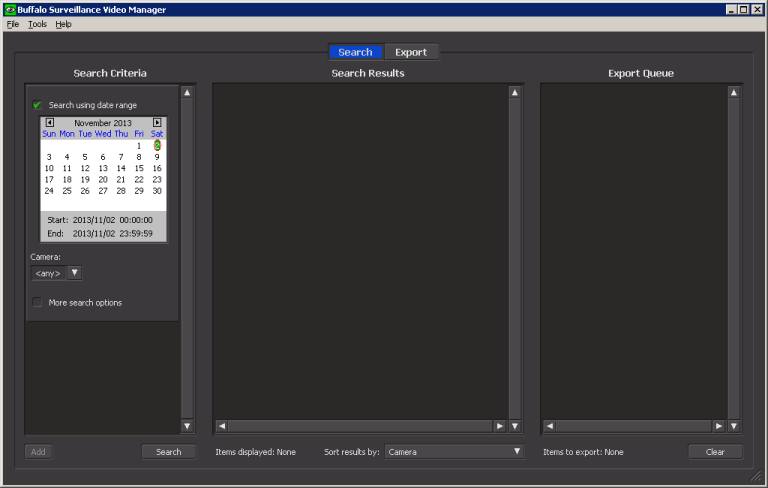 By the way, eventually we didn't manage to change the web-interface language to Russian. It's been in English instead. The first testing procedure we traditionally begin our testing section with is estimating the booting time of the device, which is a time interval starting with the moment when the power is on until the first echo reply is received through ICMP. Buffalo TeraStation TS4400D NAS boots in 96 seconds. We believe that this result is decent. 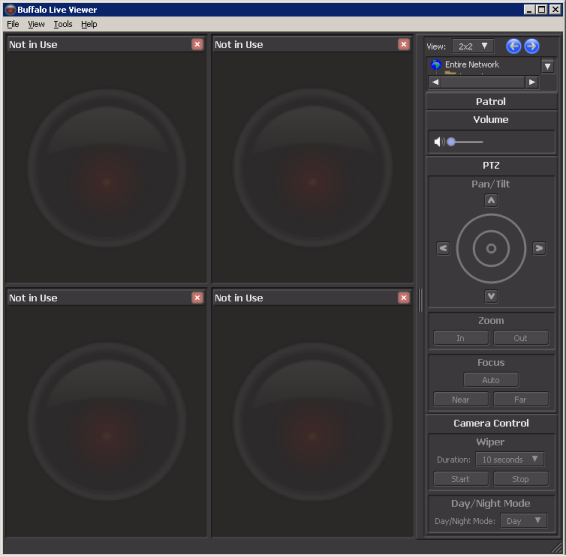 The second test was a security scanning procedure, which has been carried out using Positive Technologies XSpider 7.7 (Demo build 3100) utility. On the whole, there were 13 open ports discovered. 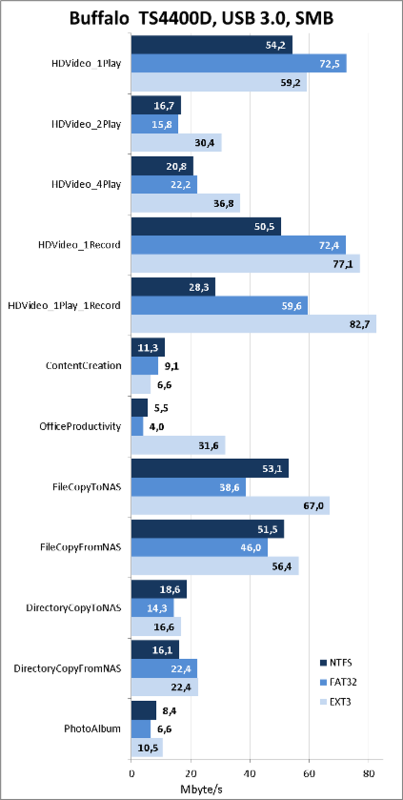 The most interesting data of those we obtained are presented below. Before getting down to performance tests we would like to mention key specifications of the test stand we used. 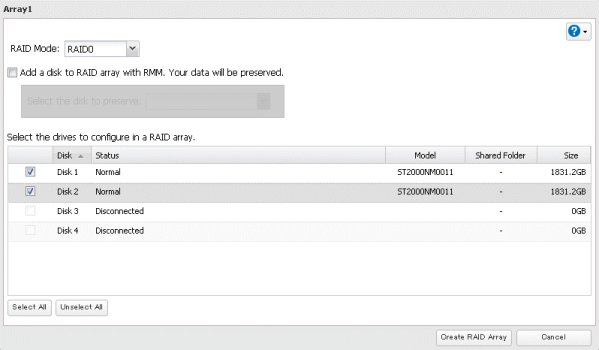 At first we decided to test access speeds to the data stored on various RAIDs using Samba and iSCSI protocols. 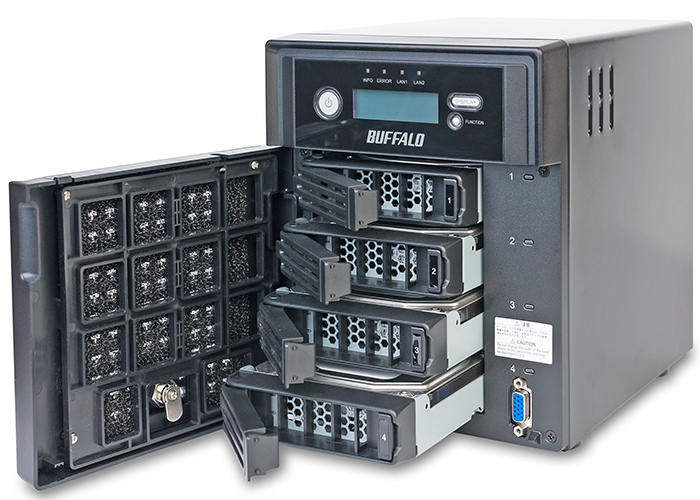 Buffalo TS4400D allows for the installation of various HDDs. We just could not help but try this capability out and therefore all tests were carried out using our standard Seagate Constellation ES ST2000NM0011 disks. 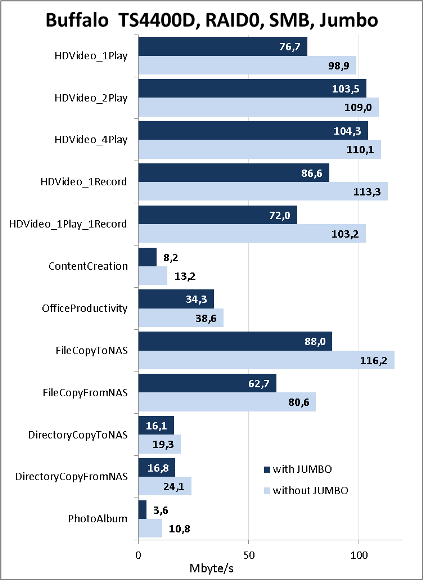 After that we decided to check how support of Jumbo frames affects the NAS performance. We were a bit surprised about the results: the performance was enhanced upon connection via iSCSI, but it was completely different when Samba was used. Neither have we overlooked a capability of connection to the external data carrier storage system via USB. We successively formatted a 750 Gbyte Transcend StoreJet 25M3 hard disk into three file systems: NTFS, FAT32, and EXT3. Also we decided to test throughputs to the data stored on the NTFS partition of our external data carrier upon connection to USB 2.0 and 3.0 ports. That's where we draw the testing chapter of Buffalo TeraStation 4400D to a close and move on to summing it all up. Generally, we are quite glad about Buffalo TeraStation 4400D we tested. This device does not have the shortcoming we saw in the other model, TS5600, and the user is free to choose the disk models that s/he wants to have installed in the NAS. Also, we believe that fitting the device with two network interfaces is a good idea. The strength areas of TS4400D are presented below. As of when this article was being written, the average price for Buffalo TeraStation 4400D (without disks) in Moscow online shops was 24,090 roubles.